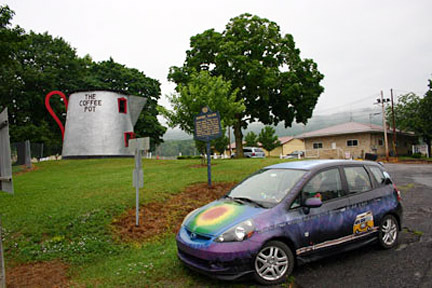 The historic Coffee Pot along the Lincoln Highway in Bedford PA has made the news as a possible waste of taxpayer money — but the story is unfounded. Here are a couple news reports. 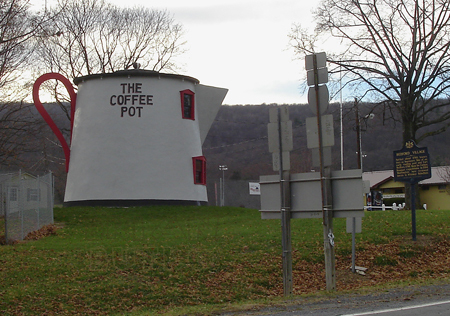 Contrary to claims by Senator John McCain, this giant coffee pot in central Pennsylvania received zero dollars from the Transportation Enhancements program. Despite their claims to fiscal responsibility, Senators Jim Coburn, John McCain and Rand Paul haven’t zeroed in on egregious transportation boondoggles like the $1.7 billion cloverleaf in Wisconsin or the $5.2 billion highway to nowhere outside Houston. “We are not pouring asphalt, we are not laying concrete, we are not decreasing congestion, and we are not increasing safety,’’ Coburn complained. He produced a list of 39 projects that he said exemplify extravagance at a time when states don’t have enough money to repair structurally deficient bridges. 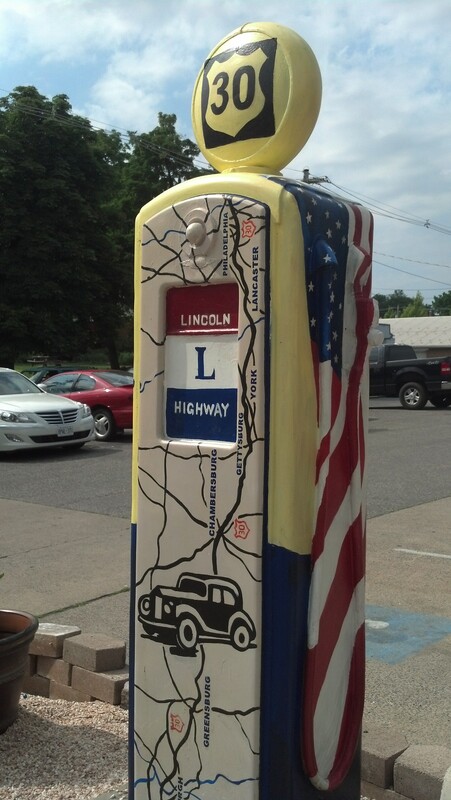 First on the list: the Lincoln Highway 200-Mile Roadside Museum in south-central Pennsylvania. It was described as receiving $300,000 in 2004 for signs, murals, colorful vintage gas pumps painted by local artists and refurbishing of a former roadside snack stand from 1927 that’s shaped like a giant coffee pot. Sen. John McCain, R-Ariz., was apparently working from Coburn’s list two weeks ago when he offered an amendment to narrow the types of projects eligible for enhancement funds. “Pennsylvania ranks first out of all states for deficient bridges. Yet it seems to be more important to furbish large roadside coffee pots,’’ McCain said. 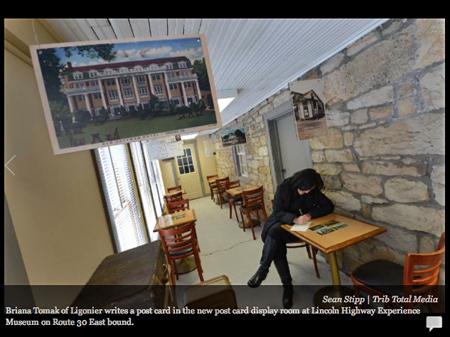 But no transportation aid was spent on the coffee pot’s $100,000 restoration, said Olga Herbert, executive director of the Lincoln Highway Heritage Corridor. 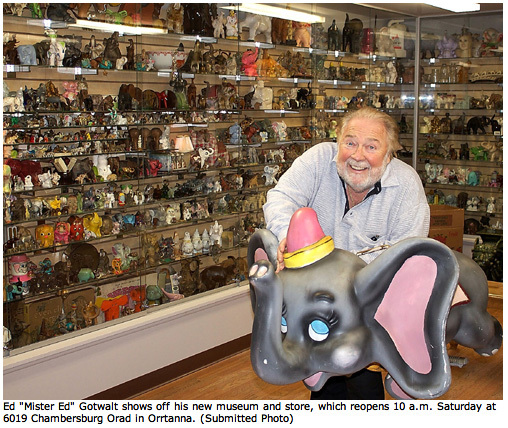 The money was raised entirely from preservation and civic organizations and local supporters. 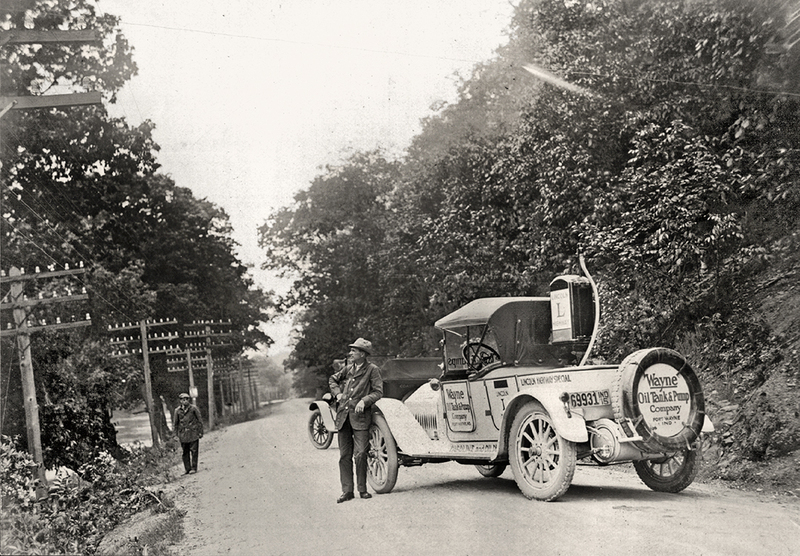 An important link in the Lincoln Highway is examined in an article in the PhillyBurbs.com that also includes this vintage photo (note the Lincoln Highway sign at left). The first bridge across the Delaware River between Trenton NJ and Morrisville PA opened 150 years ago on July 1, 1861. When the wooden “City Bridge” burned, an iron bridge was built in 60 days by 83 workmen. 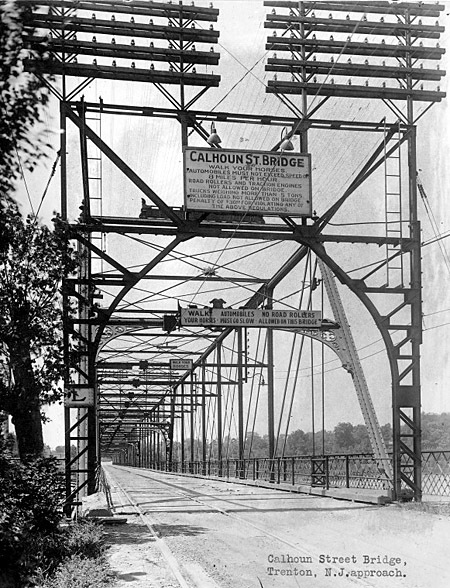 It opened October 20, 1884, as the Calhoun Street Toll-Supported Bridge but was made toll-free on Nov. 14, 1928. It is now run by the Delaware River Joint Toll Bridge Commission, which was formed in 1934 and operates seven toll bridges and 13 toll-supported bridges. A $7.2 million rehabilitation project in 2010 included improvements to the rails and sidewalks, new lighting, blast cleaning, and painting. A vintage iron marker noting the Lincoln Highway state border crossing remains on its downstream side near the Pennsylvania abutment. 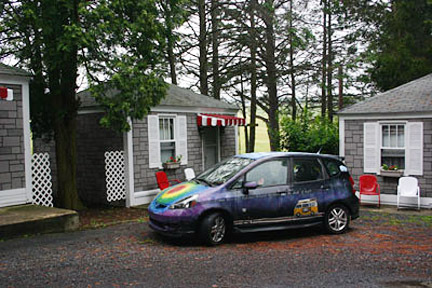 Roadside and Route 66 enthusiasts Emily Priddy and Ron Warnick recently took a 10-day road trip that Emily chronicled on her Red Fork State of Mind blog. 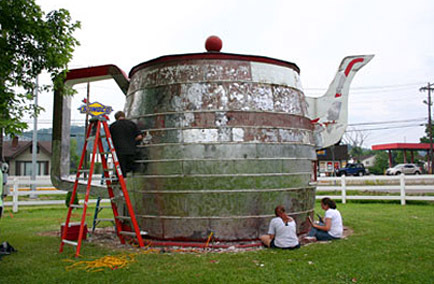 She sent me news updates including that volunteers were stripping the World’s Largest Teapot in Chester, WV, with scrapers, heat guns, and blowtorches as part of an Eagle Scout project. Above you’ll see they also visited two excellent roadside attractions in east-central PA: the Lincoln Motor Court east of Bedford, and the giant Coffee Pot on the edge of downtown. Then they filled up at Dunkle’s Gulf, a rare art deco gem still in the same family—and still pumping gas! I fell in love with the farmland of Iowa; the vibrant energy of Chicago; the charming downtowns of Goshen, Ind., and Van Wert, Ohio; the giant teapot in Chester, W. Va.; the winding mountain roads of rural Pennsylvania; and the ethnic neighborhoods and skinny townhouses with old men killing time on their front stoops in the narrow side streets of Allentown. To follow their trip, start at redforkhippie.wordpress.com/2011/06/28/go-the-distance then use the calendar to keep following, or just go to redforkhippie.wordpress.com and read up from the bottom! The project design covers an area near Walton Tea Room Road, just west of the Toll Route 66 interchange, through Lincoln Heights to the Route 30 intersection with Possum Hollow Road and West Penn Drive, near a West Penn Power building and Sacred Heart Cemetery.